Happy Easter 2017! - Super Inky! Happy Easter to all my friends! This year is special because Orthodox and Western Easter both fall on the same day. I love Easter because coloring eggs and hunting for them is so fun. 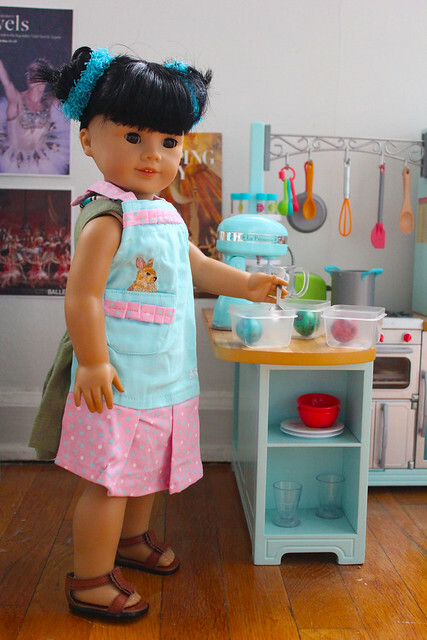 I started the day by putting on my new bunny apron and coloring eggs for an egg hunt. Once the eggs were dry, my family met in the courtyard for an egg hunt! Mama and Mom gave me an Easter basket full of yummy candy. I got really excited because I received a chocolate bunny! 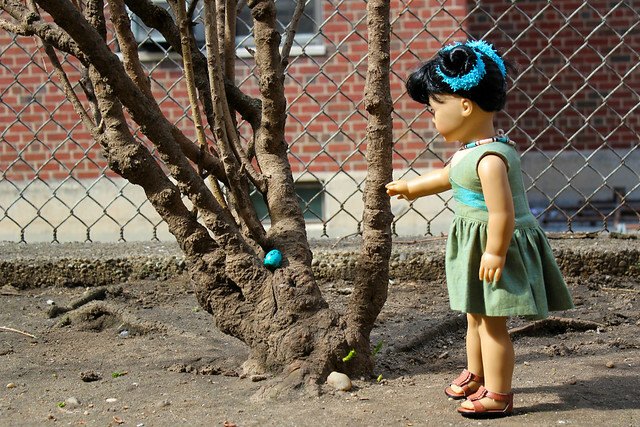 Next, I posed for some photos in front of a tree- and then it was time to find the eggs I had dyed! I found the first egg in a little stump by the brick wall. The next egg was on the fence above the walkway to the back door! It was such a pretty turquoise color. I found the next egg, a blue one, in a bush! There was a purple egg waiting for me at the base of one of the trees in the courtyard. I ran all over the courtyard and filled my basket with Easter eggs. It was so fun! 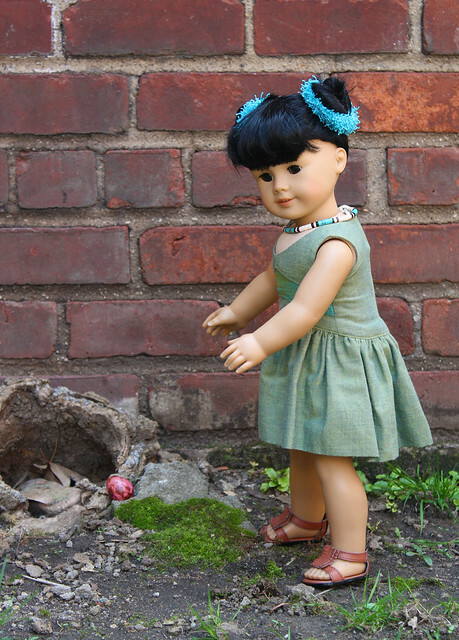 I loved eating Easter candies, coloring eggs, and finding the eggs hidden throughout our courtyard! I hope that you also had a wonderful day, whether you celebrate Easter or not! Happy Happy Holiday! 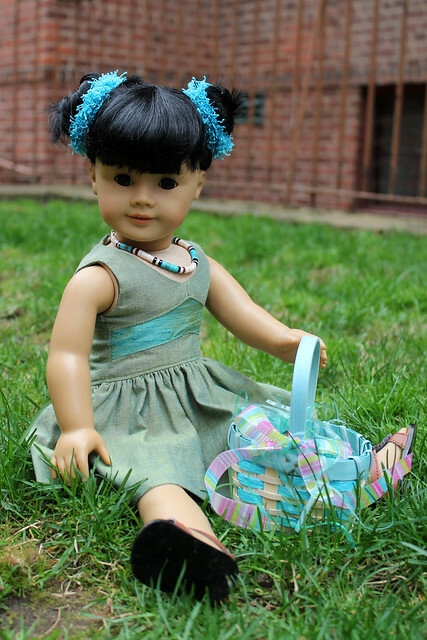 Happy Easter from Julie, Sammy, Kirsten, Michelle and the rest of the gang from Julies World. 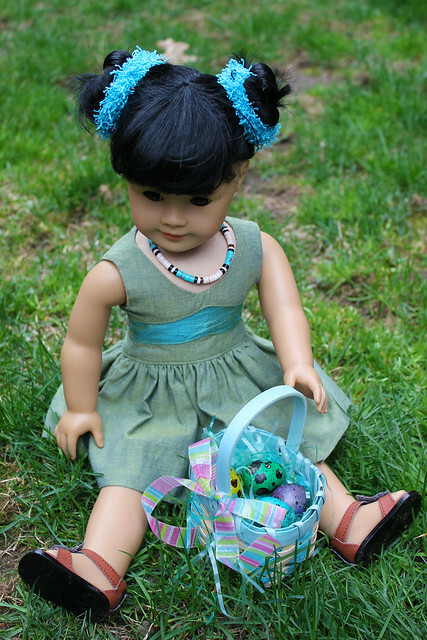 They LOVED your Easter dress. 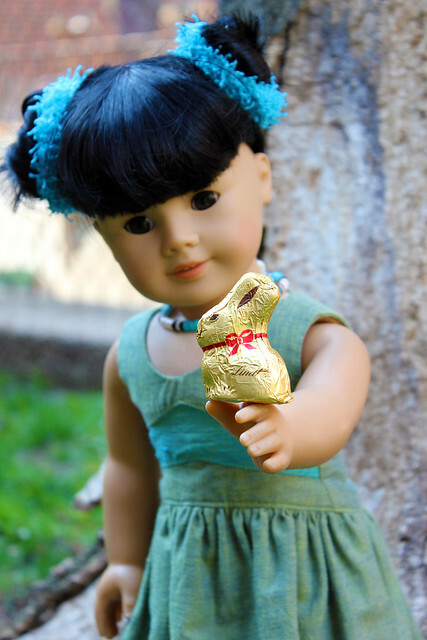 Where in the world did you get a mini chocolate bunny? Happy Belated Easter! It looks like you had a fun day! I got a Lindt chocolate lamb in my Easter basket!